BERKELEY, CA  Saul Perlmutter, a member of the Physics Division at the U.S. Department of Energy's Lawrence Berkeley National Laboratory, professor of physics at the University of California at Berkeley, leader of the international Supernova Cosmology Project, and principal investigator of the SuperNova/Acceleration Probe (SNAP) project, has won the Shaw Prize in Astronomy for his role in the discovery that the expansion of the universe is accelerating. 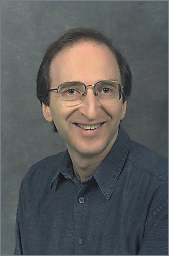 Saul Perlmutter uses distant Type Ia supernova to investigate the nature of dark energy and the accelerating universe. Perlmutter shares the $1 million prize with Adam Riess of Johns Hopkins University and Brian Schmidt of Australia's Mount Stromlo Observatory. The presentation ceremony is scheduled for Tuesday, September 12, in Hong Kong. The Shaw Prizes, hailed as the Nobel Prizes of the East, have been granted annually since 2004 in the fields of astronomy, medicine and life sciences, and mathematical sciences. Dedicated to "furthering societal progress, enhancing quality of life, and enriching humanity's spiritual civilization," the prizes were established by Sir Run Run Shaw, famed Hong Kong motion picture and television producer, and are administered by the Shaw Foundation. "I'm delighted that the Shaw Foundation has decided to recognize research aimed at learning the history and fate of the universe," Perlmutter says. "It's a wonderful reminder to people of how exciting it is to be alive at a time when it's possible to address these ancient philosophical questions with experimental means. That there are three co-winners also underscores how such work is dependent on the teams' efforts and on the community of scientists that they are a part of." The discovery that the expansion of the universe is accelerating, occasion of the 2006 Shaw Prize in Astronomy, came after years of work by the Supernova Cosmology Project, an international collaboration of researchers from the United States, Sweden, France, the United Kingdom, Chile, Japan, Spain, and other countries, based at Berkeley Lab. The Supernova Cosmology Project was cofounded by Perlmutter in 1988 to devise methods of using distant supernovae to measure changes in the expansion rate of the universe. Meanwhile competing groups of astronomers and physicists were conducting supernova searches, and one reached an identical conclusion at nearly the same time as the Supernova Cosmology Project. The independent findings of the Supernova Cosmology Project and the High-Z Supernova Search Team, led by co-prize-winner Schmidt and of which co-prize-winner Riess was a member, were jointly named the "breakthrough of the year" by the journal Science in 1998. 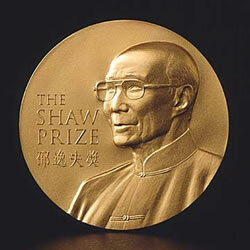 Each winner of the 2006 Shaw Prize in Astronomy will receive a medal and a check for $333,400. The accelerating expansion of the universe implies the existence of an unknown phenomenon called dark energy, which acts to oppose gravity and increase the distance among galaxies ever more rapidly. The nature of dark energy is unknown and has been termed the most important problem facing physicists in the 21st century. Perlmutter's previous awards include the Department of Energy's E. O. Lawrence Award in Physics for 2002, the California Scientist of the Year Award in 2003, and in 2005 the John Scott Award and the Padua Prize.